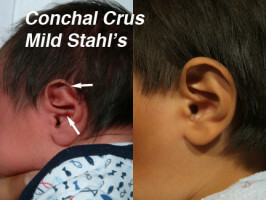 Conchal crus ear deformity in newborn infant ear deformity is an abnormal fold of cartilage crossing the mid portion of the concha cymba essentially dividing the ear in half. The conchal crus is an abnormal fold of cartilage crossing the mid portion of the concha cymba essentially dividing the ear in half. It sometimes extends all the way to the back wall of the ear essentially eliminating the conchal hollow and causing the ear to over-project. It is most often found in association with other deformities (see Mixed ear deformity in newborn infants). A key feature of the EarWell correction system is the conchal former which is uniquely designed to allow downward pressure to be applied to the conchal crus. 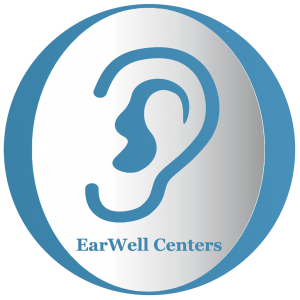 View our Photo Gallery of Before and After Infant Ear Molding at EarWell Centers of Texas.